• Gift cards can only be added via the Uber app. 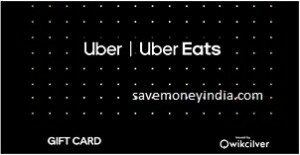 Gift card balance can be redeemed on both Uber and Uber Eats app. • The Gift Card will expire 36 months from the date of activation.